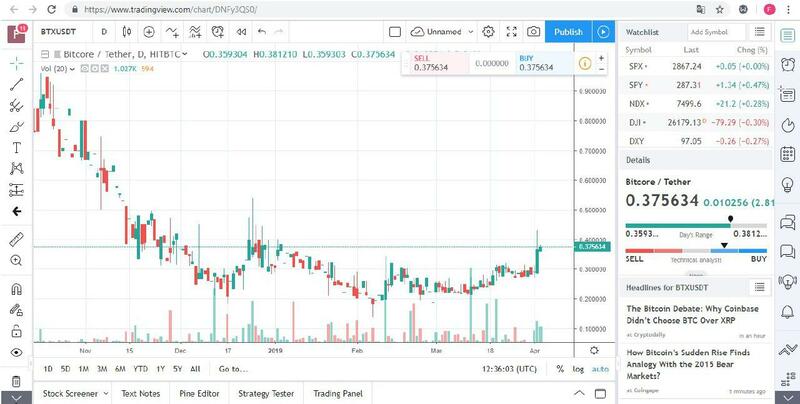 Many cryptocurrency traders have been using TradingView for chart analysis and as a convenient tool which allows them to monitor their investments closely. 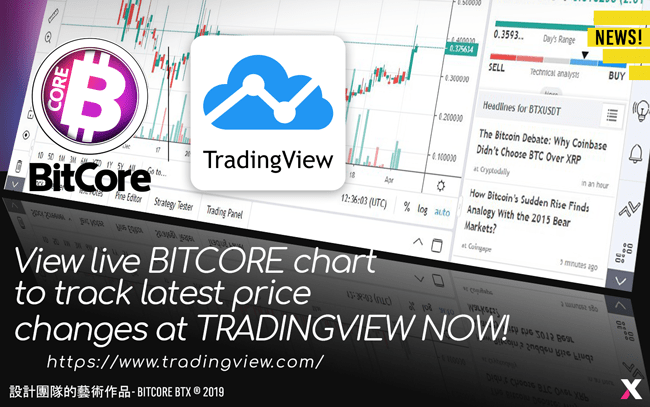 BitCore is now officially supported on TradingView. That gives traders a quick overview of what’s happening in the BTX. Meet the Mini Chart Widget at https://bitcore.cc/! Mini Chart Widget displays the price, change percentage along with a basic chart of Bitcore. 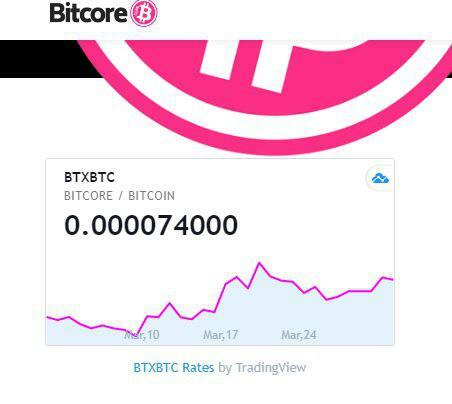 According to the information provided on the company’s website, BitCore BTX rate updated every 10 seconds. Traders and investors will certainly benefit from this development. They can collect all the necessary tools and information in one place. The dashboard provides information such as variety of technical indicators per chart, unlimited chart layouts, over 200 server-side alerts, and the ability to work on multiple devices simultaneously. This could lead to more price charts for BTX being shared on social media. One of their most popular chats is the Cryptocurrencies chat (https://www.tradingview.com/chat/#bitcoin) where traders talk in real-time about where the cryptocurrency market is going. Join here and spread the BTX!